Ontario has issued more NOIs to Express Entry immigrant applicants. This was for applicants in Skilled Trades stream and French-Speaking Skilled Workers stream. Basically, these streams are for workers who possess a valid Express Entry profile. Skilled Trade stream is for those skilled workers who are eligible for the Canadian Experience Class and have some work experience. Whereas French-Speaking Skilled Workers stream is for those candidates who qualify for Federal Skilled Workers classes or Canadian Experience Classes. This stream also prefers immigrant applicants who have sufficient language abilities. Beyond this candidates have to meet unique provincial criteria. Ontario has now issued number of invitations to these candidates in the latest invitation round offering 64 Notification of Interest (NOIs). Since 2nd week of April, it has been seen that Ontario has generated weekly invitation round through both the streams. To receive an invitation from Ontario the candidates have to submit their Express Entry profiles. 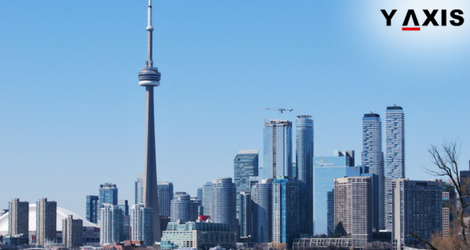 The Ontario Immigrant Nominee Program (ONIP) has stated that 30 candidates who received an invitation are through Skilled Trade stream and 34 candidates had received an invitation through French-Speaking Skilled Workers stream. These candidates submitted their Express Entry profiles between 1st January 2018 and 23 May 2018. Since the start of 2018, Ontario has issued a total of 1229 NOIs of which 727 NOIs were issued through Skilled Trade stream and 502 NOIs through French-Speaking Skilled Workers stream. Beyond these two streams, Ontario has also generated a total of 2587 NOIs through Human Capital Priorities stream. Ontario has said it will continue to issue these Notifications of Interest for those who are eligible and have some experience in Eligible Skilled Trade. For submitting online applications to ONIP, the candidates have 45 days of time from the date the NOIs have been issued.